Winter will soon be here, so it's time to snuggle down, grab some cosy blankets and drink a delicious cup of hot chocolate! As well as the Christmas decor, it's time to update your home and add a few touches to turn it into a cosy, comforting sanctuary, one that you can't wait to get back to each day! 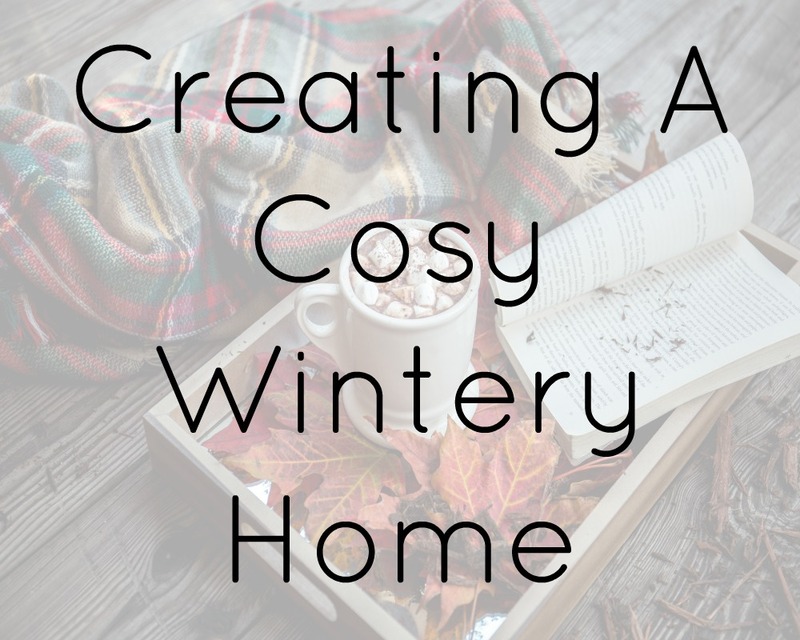 I'm sharing a few of my favourite cosy and Wintery home items from Wayfair today. 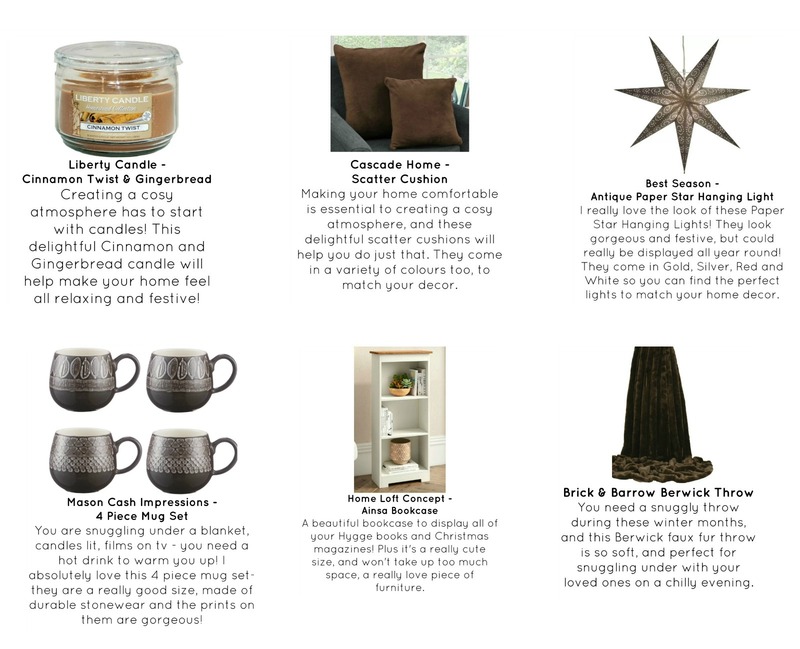 Liberty Candles Cinnamon Twist & Gingerbread Scent Jar // Cascade Home Scatter Cushions // Best Season Antique Paper Star Hanging Light // Mason Cash Impressions 4 Piece Mug Set // Home Loft Concept Ainsa 100cm Bookcase // Brick & Barrow Berwick Throw Which item is your favourite?